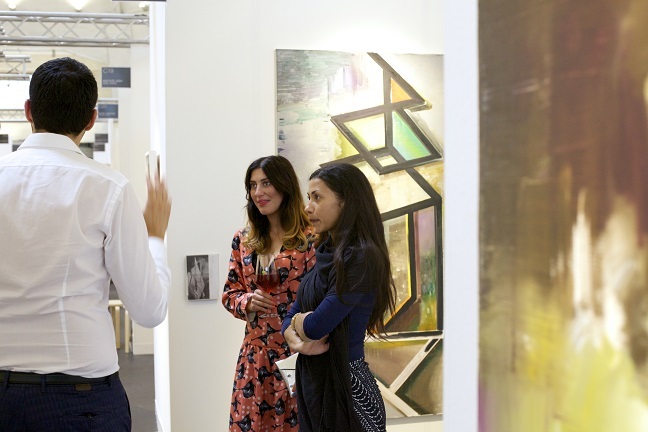 Though this edition refects VOLTA’s highest brand retention yet, with 90% of exhibiting galleries having participated in prior Basel and New York fairs, a very carefully considered selection of six entirely new exhibitors contributes further depth to VOLTA’s ongoing efforts to highlight the global arts community’s diverse voices. These first-time VOLTA galleries are: knoerle & baettig (Winterthur), presenting apair of up-and-coming Cuban artists: Alejandro Campins, fnalist for the Farber Foundation’s inaugural Young Cuban Artist of the Year award, and Frank Mujica, featured in the 2015 Bienal de la Habana; Project ArtBeat (Tbilisi), presenting Post-Soviet explorations by three Georgian artists: Gio Sumbadze, who designed Kamikaze Loggia for his nation’s Pavilion at the 2013 Venice Biennale, plus Nino Chubinishvili and Lado Pochkhua; Galerie l’Inlassable (Paris), spotlighting young French artist Caroline Corbasson via a mixed-media constellation of new works following her research at LAM, the Laboratory of Astrophysics of Marseilles; Causey Contemporary (New York), unveiling Kevin Bourgeois‘ site-specifc socio-political installation At Play in the Fields of the Lord; Anca Poterasu Gallery (Bucharest), presenting two Romanian artists who analyze the natural world via painting and photography, respectively: Zoltán Béla, subject of the 2014-15 solo exhibition Anexa at MNAC, the National Museum of Contemporary Art (Bucharest), and Nicu Ilfoveanu, featured in Vision of a Nation at Fotogalleriet Oslo last year; and taubert contemporary (Berlin), who amplify their European geometric abstraction-themed booth with a sitespecifc wall painting by Jan van der Ploeg, concurrent with the Dutch artist’s solo exhibition at Kunsthaus Baselland, his frst institutional exhibition in Switzerland. VOLTA’s commitment to presenting new international positions includes acknowledging specifc and localized artistic efforts from decades past and re-contextualizing their signifcance within a contemporary global context. Several long-time exhibitors look back to the 1970’s for their VOLTA12 discourses: beta pictoris gallery (Birmingham AL) plans a booth featuring rubber and mixed-media “tough paintings” by late Mono-ha kindred Yoshishige Furukawa, subject of a posthumous career retrospective at the Fukuoka Art Museum last year; as well as Austrian-German conceptual photography duo Barbara and Michael Leisgen‘s pivotal Mimesis series, concurrent with the couple’s participation inSublime. The Tremors of the World, on view now at Centre Pompidou-Metz. Plus, P74 Gallery (Ljubljana) highlights Slovenian artist Milena Usenik‘s classic and mostly overlooked Op-Pop Art hybrid paintings. Usenik’s oeuvre spans a 1973 exhibition at the Slovenj Gradec Art Pavilion – parallel with producing some of the paintings on view here – and inclusion in 2015’s Ludwig Goes Pop at the Ludwig Museum Budapest. 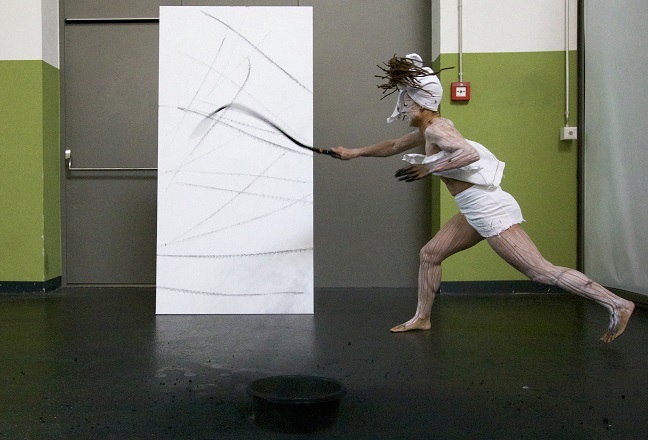 Solo projects remain a fundamental component to VOLTA’s platform for focused artistic discoveries. 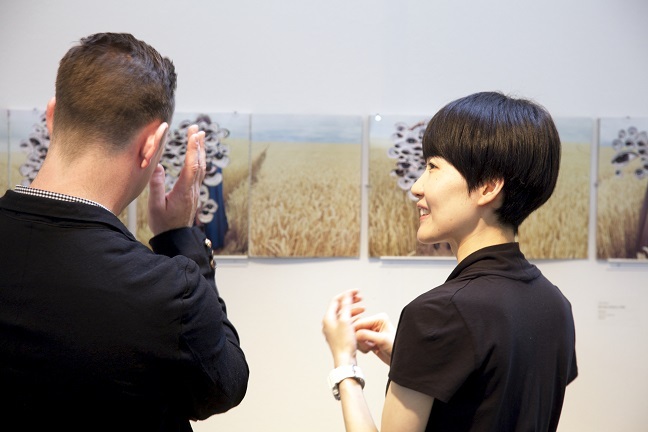 Echoing the fair’s solo-format American edition, which hosted a critically lauded ninth New York fair at Pier 90 this past March, 17 galleries will stage solo projects in Basel and another 22 will position two artists “in dialogue”, totaling over 60 percent of booths at VOLTA12. Featured projects include: Tschabalala Self (American, Thierry Goldberg Gallery, New York), fresh from her residency and solo exhibition at T293 Naples and featured in the Studio Museum in Harlem’s cross-generational survey A Constellation; Eric Pina (Senegalese, Ed Cross Fine Art, London), whose fuidic Paysages works on paper were included in the 2014 DAK’ART Biennale; a ritualistic installation by Yasmin Alt (German, ROCKELMANN &, Berlin), who has shown recently in Anti-Monuments at KKW (Leipzig) and Chaos/Cosmos at Kunstverein Offenburg; and Alpin Arda Bağcık (Turkish, GALERI ZILBERMAN, Istanbul), who renders disinformation and manipulation of current events in startling photorealism. Plus: krupic kersting galerie || KUK (Cologne) installs a “circus of lights, sounds, and images” to underscore sociopolitical narratives by Tracey Snelling (American), a recent Joan Mitchell Foundation Grant recipient and subject of current solo shows at the Royal Museum of Fine Arts (Brussels) and Baltimore Museum of Art, and cinematic artist-auteurist Ulu Braun (German), featured in the IBB Videoraum at Berlinische Galerie (Berlin) plus recent flm festivals throughout East Asia and Europe last year; YOD Gallery (Osaka) considers contemporary means of communication via two Japanese multimedia artists, Masashi Hattori, who gained prominence at the Gunma Biennale for Young Artists and Wonder Seeds at Tokyo Wonder Site, and self-titled “geek handstitch” phenom Stitch Dog; and Fresh Window (Brooklyn) pairs Fanny Allié (French), a recent recipient of Brooklyn’s A.I.R. Fellowship Program, with Berlin-based Diana Sirianni (Italian) in a cross-media exploration of spatial reinvention. 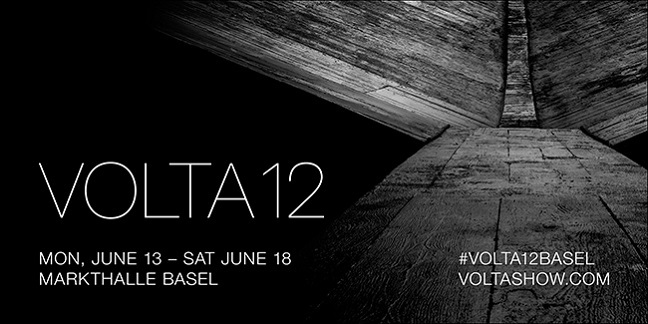 VOLTA12 at Markthalle is accessible by direct shuttle bus to and from Art Basel. 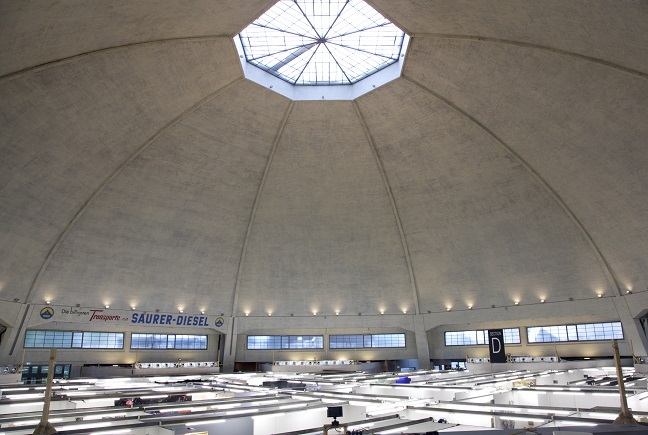 The fair is located steps from Basel’s main train station SBB and is fve tram stops from Art Basel (Line 2, direction Binningen). Additionally, several underground public car parks are located in close proximity to Markthalle. All travel information may be found on our website. 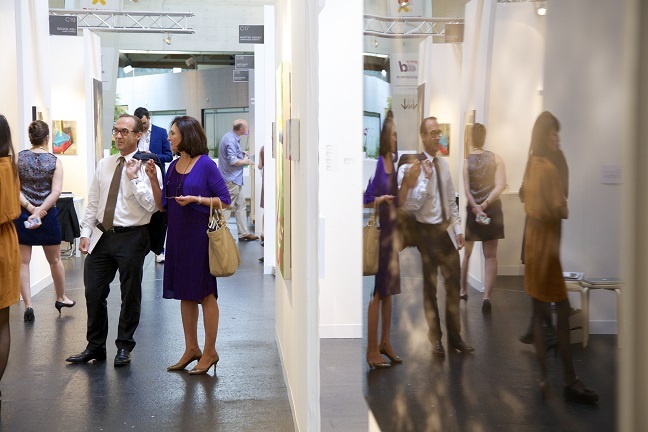 VOLTA was co-founded in 2005 by three dealers, Kavi Gupta (Chicago), Friedrich Loock (Berlin), and Ulrich Voges (Frankfurt am Main), and art critic Amanda Coulson.